Michael & Son Services’ president uses his life experiences and success to empower his employees and improve their quality of life. Basim Mansour emphasizes employees over profits. “I would feel horrible ... if I could eat steak and I knew people at my company were having Cup Noodles for dinner,” he says. Few young people know how to gracefully play the hand they’ve been dealt, but Basim Mansour had no choice—his family was depending on him. At the age of 19, Mansour’s father died, and, almost immediately, the community college student had to drop out of school and take over his father’s struggling home-improvement company, Michael & Son Services Inc. Growing up, Mansour had tagged along with his father on jobs, but it was little preparation for taking over the company and carrying the weight of his family’s financial well-being on his young shoulders. Mansour made it work because he had no choice, and, in the 22 years he’s been at the helm of Michael & Son, the business has far exceeded anything he could have dreamed of as a struggling and overwhelmed 19-year-old teen. 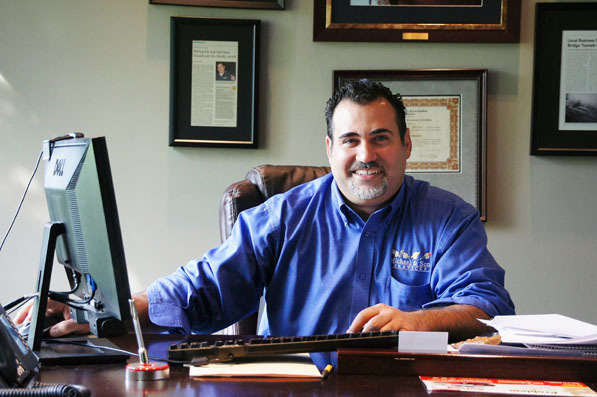 Mansour’s early life experiences and strong work ethic have been the biggest influence on Michael & Son’s company culture, where Mansour is known as an assertive character and a boss who places emphasis on support and accountability. He also understands the importance of being able to delegate, but in order to do so successfully, Mansour has to hire the right people. A person can have all of the experience, education, and skills in the world, but if they don’t have a great personality, they’re not getting hired to work at Michael & Son. “Your smile, your personality—these things are truly important, because when you work for me, you represent me and the hundreds of families who depend on the livelihood of my business,” Mansour says.